Some Odd Girl: Hot Mommas Challenge! 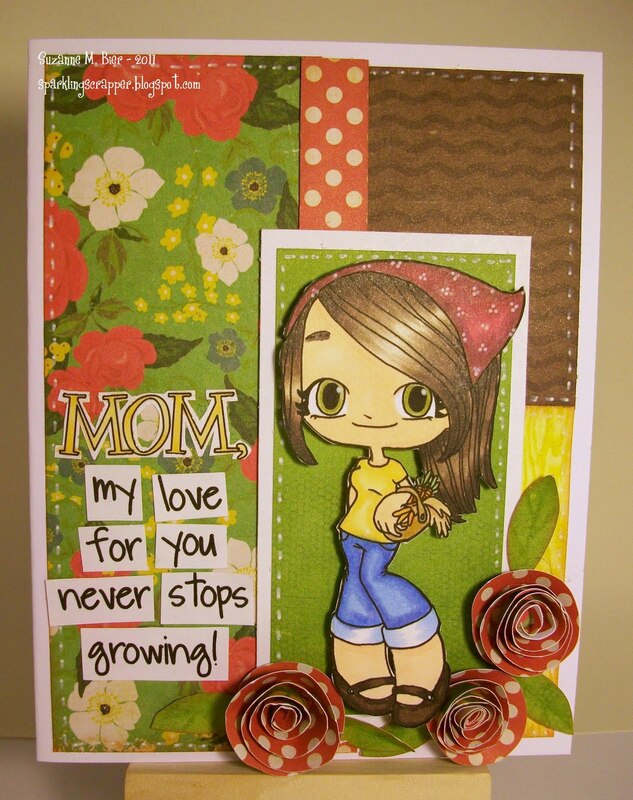 The latest challenge at Some Odd Girl Digital Stamps is to create something MOM-themed! And, Some Odd Girl Digital Stamps recently released a set of related digis featuring brides, new moms & babies! My entry features one of my favorite SOG digis, “Garden Mae“! I chose her for my card because she reminds me of my mom, who loves gardening and working in her flower beds. I wish I had inherited her talents for working with plants and flowers…her knowledge and skill with gardening are amazing! Supplies: paper (Echo Park – For the Record, Basic Grey – Life of the Party), handmade flowers, typed sentiment, white gel pen, foam squares markers (Copic). Thanks for stopping by! This challenge runs until May 3 at midnight EST. The random winner will get 2 digis from the Some Odd Girl shop! Check out the Odd Girls’ creations for this challenge at the Some Odd Girl Digital Stamps blog and see what others have entered! Then link up your entry! Awwww! The sentiment combined with lovely Mae is just so sweet! Thanks for playing with us at Some Odd Girl this week!